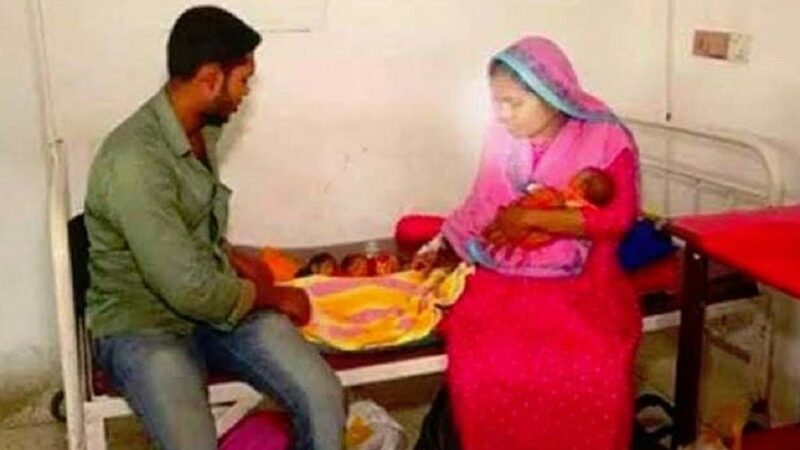 A Bangladeshi mom was shocked after she gave birth to healthy twins just one month after delivering her first child. Arifa Sultana, 20, from a village in one of the countries of South Asia gave birth to a boy at the end of February. However, after only 26 days, she was transferred to another hospital with complaints of abdominal pain. The woman suffered an emergency caesarean section and as a result gave birth to healthy twins – a boy and a girl. “She did not understand that she was still pregnant with twins. After 26 days after the birth of her first child, her water began to flow again, and she rushed to us for help,” said Sheila Poddar, gynecologist, Arifa’s attending physician. Doctors were shocked when they learned that a woman is pregnant with twins. “I have never seen anything like it before,” said the doctor. Dr. Poddar says that the mother and her husband are very poor, and therefore the Sultana never did an ultrasound before her first birth. The doctor confirmed that Sultana “had no idea that she was pregnant with twins.” A young woman is prone to a condition called the twin uterus (uterus didelphys), which is not as rare as many people think,” said Dr. Christopher Ng, a gynecologist. “If you scan in advance, then in this case you can see a set of two wombs. But obviously, this family lives in the rural hinterland, where they do not have access to ultrasound scanning”. Mom and children were discharged after four days spent in the hospital. It is reported that three newborns received the names of Ifad Islam Noor, Mohammad Husaifa and Jannatul Mawa Khadija (Ifad Islam Noor, Mohammad Huzaifa and Jannatul Mawa Khadija). Arifa’s husband, Sumon Biswas, is thanking Allah for the miracle and healthy children, and promises to try his best to keep the children happy. This is a well-known medicine, albeit a rare feature: during pregnancy, the mother forms a second organ in the fetus. We can safely say that Arifa was lucky. Usually, women with two uterus suffer from infertility or give birth prematurely, and the feature itself is determined only by ultrasound, because it does not cause discomfort.